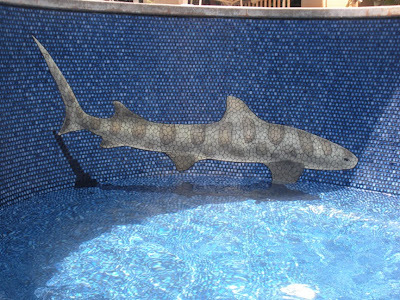 Ceramist R.J. Vogland is a creative artist who makes 3D illusions using ceramic tiles. 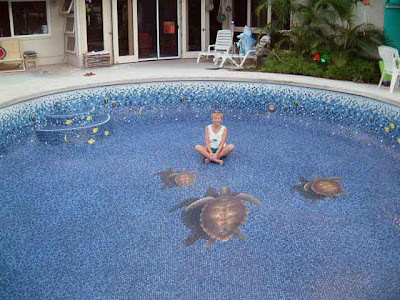 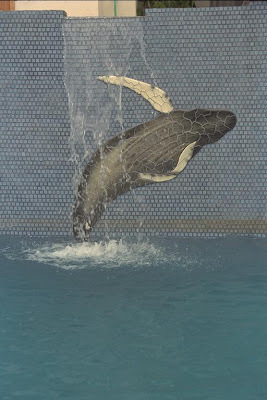 These custom hand sculpted tile murals can be used in swimming pools, spas, wall murals, kitchens, showers, signage and walkways. 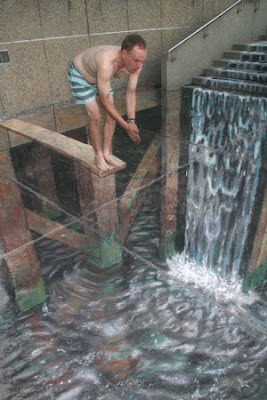 His murals combine the best of painting and sculpture in a work, created using hand-painting and airbrush techniques. 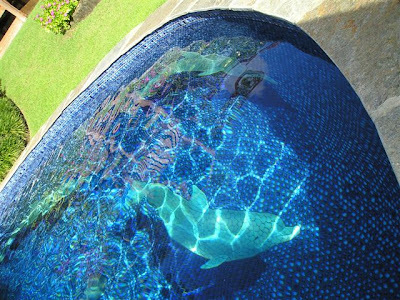 The colored images are bonded to the tile with a translucent outer glaze. 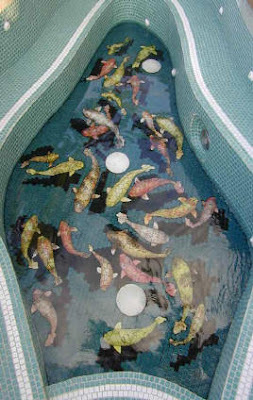 Vogland sculpts his own tiles from raw clay. 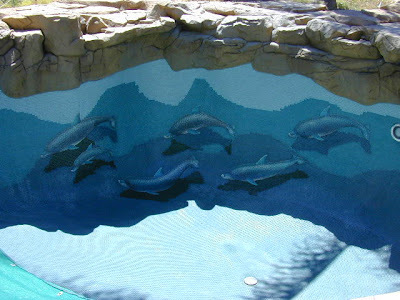 It is a timeless process; every mural is made to order entirely by hand with no power tools. 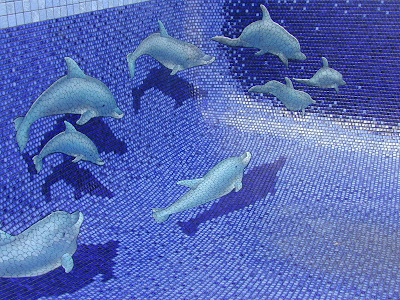 His works are included in over a thousand private collections throughout the world. 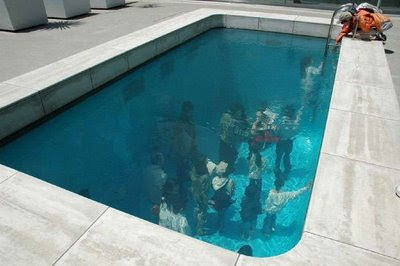 Swimming Pool Illusion: This swimming pool art installation is creation of artist Leandro Erlich. 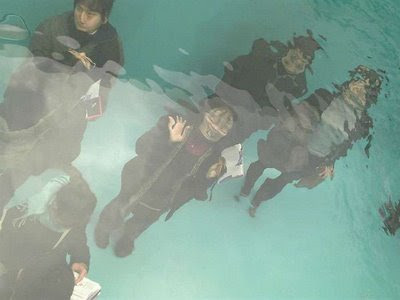 There are two clear acrylic glasses about a foot apart and water is filled inside. 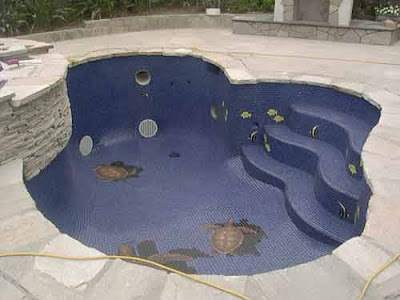 The top surface is also filled with about 4 to 5 inches of water so that it just looks like water. 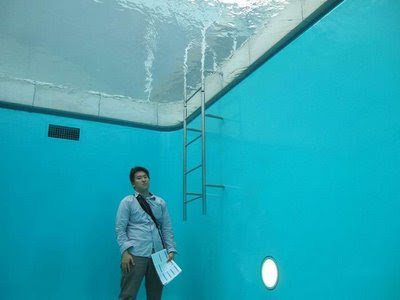 The people underneath the swimming pool can actually look above with realistic water effect on top of it. 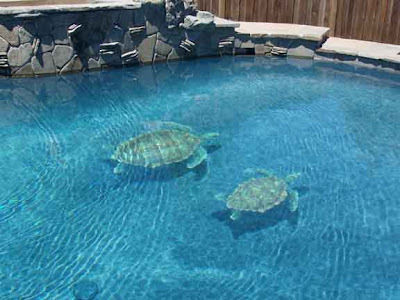 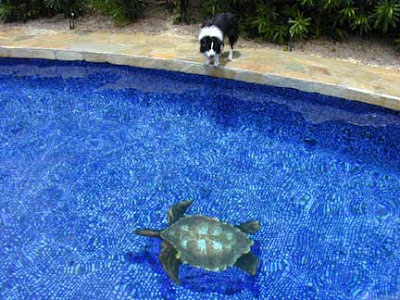 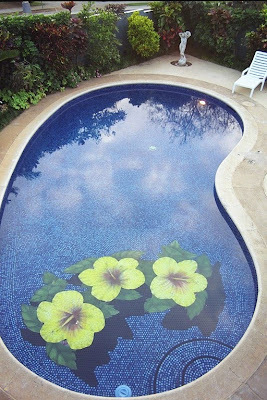 3D Swimming Pool Illusion: Click here for rest of the picture gallery.